The Xotic Andy Timmons Signature BB Preamp - limited edition. FREE shipping anywhere in the USA! Capable of 30dB clean boost and smokin’ overdrive tones, the BB-Preamp Andy Timmons signature model is a reincarnation of the original Xotic Effects BB-Preamp that first hit the market in 2005. Amassing a reputation for its natural sound and smooth compression, the original BB Preamp became an instant hit with guitar players and a staple overdrive pedal on Andy’s pedalboard. Years later the BB Preamp is still part of Andy’s signature sound! 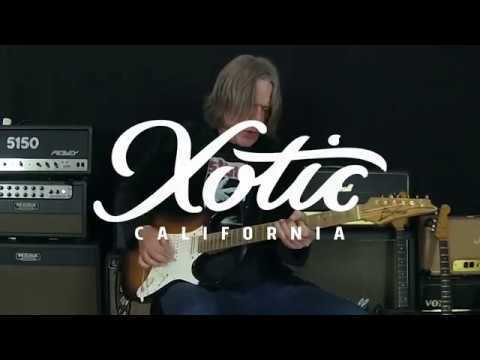 Once again, Xotic Effects combines forces with Andy Timmon to release a limited run of 3000 signature series pedals that includes an Andy Timmons guitar pick and trial link to Andy’s new website, guitarxperience.net, where users can get lessons, tips and behind the scenes access to all things Andy Timmons!